Isango Gate Boutique Hotel and Spa - Summerstrand Accommodation. Isango Gate was built in the early 1900's, the residence has since been transformed into a sophisticated, elegantly styled boutique hotel. Isango Gate is a serene yet modern setting of African Zen gardens, open deck area, earth tones, modern lines and style and has a calming marine touch. This great escape is situated in the premier quiet suburb of Summerstrand in Port Elizabeth and on the doorstep of our pristine blue flag beaches. Each of our 10 suites are tastefully furnished to 5 Star standards. Nine suites have private balconies with partial seaviews. All rooms have a peaceful and harmonious touch with contemporary finishes. Each of our tastefully designed suites are equipped with free internet connection, fine linen, fully stocked mini fridge bars and luxurious amenities which provide a private oasis of serenity. All efforts are dedicated to providing luxurious comfort, modern facilities and intuitive technology combined with exceptional, personalized service. Overlooking the tranquil infinity pool are the Nlovu Sinazo Bar and Penda Pendu Restaurant. The Ndlovu Sinazo Bar offers scrumptious light snacks, refreshing cocktails and wines by the glass. A selection of fine wines can be enjoyed on the deck overlooking the infinity pool. The Penda Pendu Restaurant, meaning "together in our house" in Shana, is situated at our hotel in Summerstrand Port Elizabeth, and offers a full a-la-carte restaurant that is open to the public and available for functions such as weddings, bridal and baby showers, year end functions and birthday parties. Our restaurant is equipped with a gas fire place where guests can enjoy gourmet South African dishes with international flare complimented with fine local, international and rare wines. Our Mvumelwano conferencing facility, which can seat up to 100 guests, with its state of the art technology is the perfect venue for corporate, team building or leisure use. We offer tailor made packages created to suit our clients specific needs. Our exclusive boardroom is perfect for small business meetings and caters for up to 8 guests. At Isango Gate Boutique Hotel and Spa we offer you everything you need for a memorable wedding - including a 5 star facility, superb service and sensational cuisine. 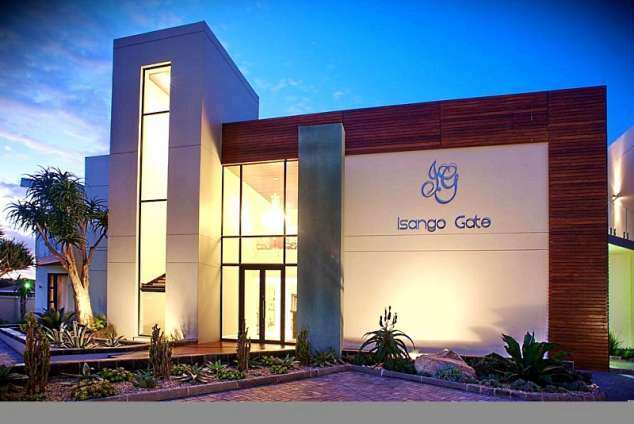 Escape to the perfect Isango Gate Spa, concentrate on your health, beauty and relax as never before at Isango Gate's decadent Spa, a luxury spa and fitness centre in the heart of Port Elizabeth with our highly trained spa therapists. Whether you are looking for a dedicated spa break or would simply like to relax and pamper yourself or keep fit whilst on holiday, at Isango Gate Spa you will find everything you need, all in an idyllic setting. In this haven of well-being, you can surrender yourself to relaxation in the deluxe Jacuzzi, soothe your muscles and rid your body of toxins in our steam room. This is one fantastic way to relax and a decadent breakaway for couples. Work out in the comprehensively equipped gymnasium or keep in shape in the infinity swimming pool. 681 page views since 04 Apr, 2018. Last updated on 09 Apr, 2018.